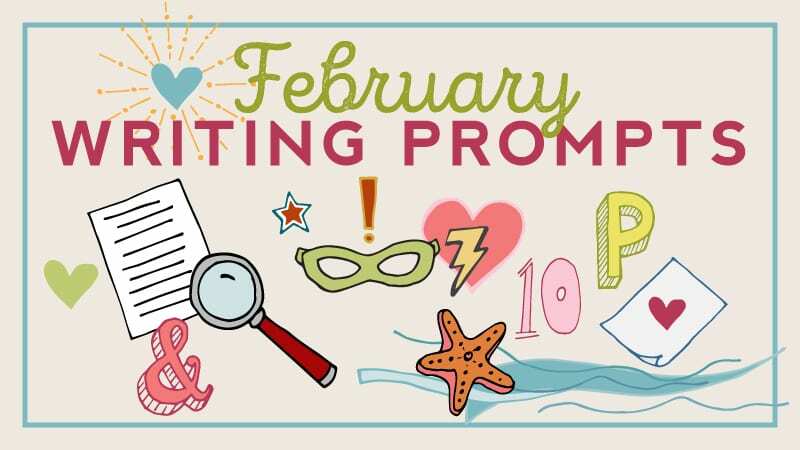 Save and print this month’s free writing prompts calendar to get your students thinking and writing creatively! Get our writing prompts calendar to celebrate the art of writing and journaling! For every school day, we have a different prompt to get your students thinking of creative ways to tell a story. Use these during journaling time, for longer writing assignments, and more. Save it, print it, and share it with your students and colleagues. Feel free to sub in a new writing prompt for a given day or to adjust the calendar to your needs. (We made the calendar available as a PDF that you can edit, too!) This is part of our2019 WeAreTeachers calendar, which you can get right here. 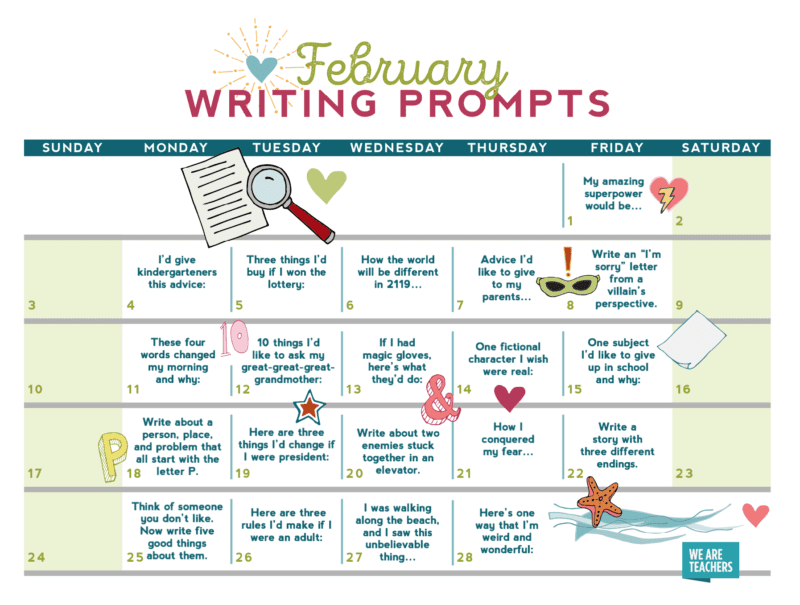 Save and print the writing prompts calendar here. Are you using our calendars? Come share your photo or tell us how in the WeAreTeachers HELPLINE groupon Facebook. Plus, get the full 2019 calendar.